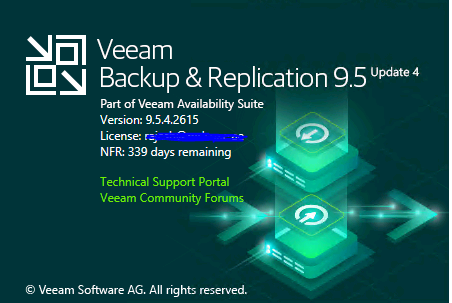 January 2019 only Veeam announced their Latest version 9.5 Update1, details we have already shared on Veeam Backup & Replication 9.5 Update 4 Released With New Features . 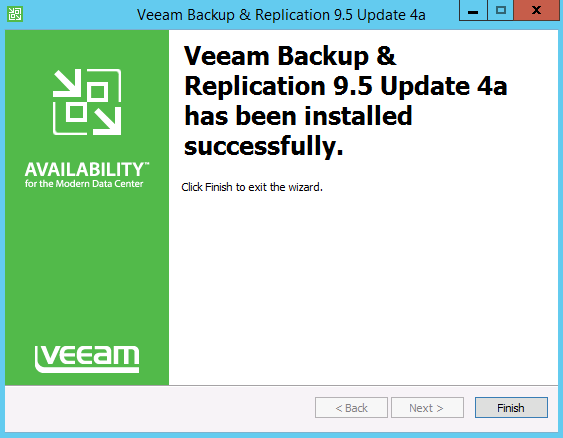 And now Veeam has released an update for this version which is Veeam Backup & Replication 9.5 Update 4a. Let’s check what is available with this update. 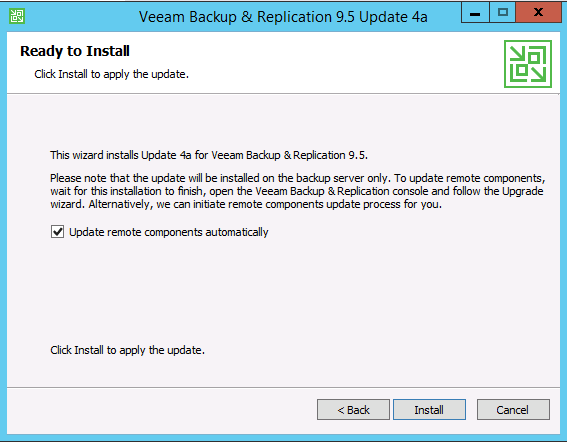 Please verify that you are running version 9.5.4.2615 prior to installing this update. 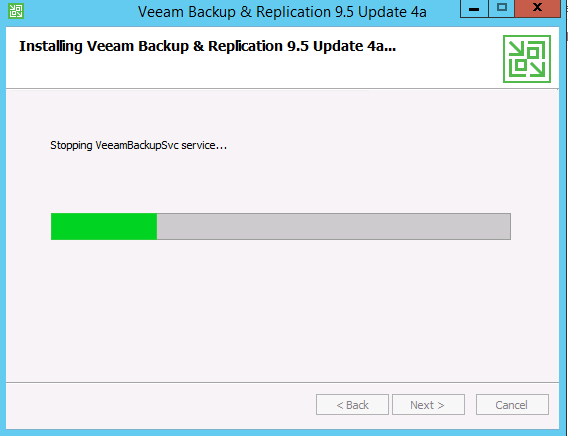 Also to upgrade from 9.0 or earlier version, download 9.5 Update 4a ISO image, and consult the upgrade section of the Release Notes document. 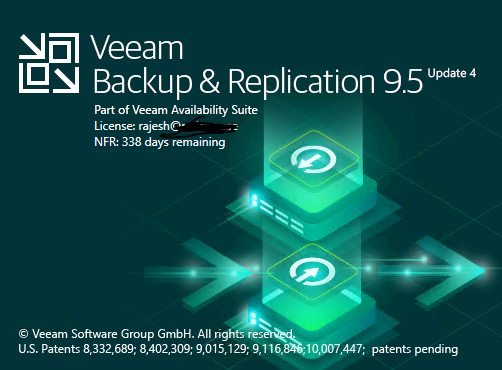 First, after the upgrade Veeam backup & Replication build number will be changed to 9.5.4.2753 also the vendor name changed from Veeam Software AG to Veeam Software Group GmbH, reflecting the legal company name change. Please note that the name change has also resulted in a change of the code signing certificate. It will be a .zip file and you have to extract that to get the installation file.  After the update, you can login and verify the version and company name . Note:- Testing has been performed on pre-release 6.7 U2 builds, while official support will still require comprehensive testing of the GA build. In addition, Update 4a addresses over 300 minor Update 4 bugs reported by customers and found during the internal testing. 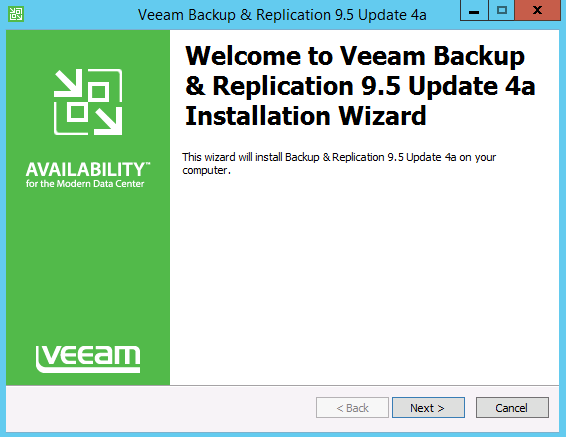 Veeam Backup & Replication 9.5 Update 4a also includes bug fixes for service providers offering Veeam Cloud Connect services, and managing backup servers with Veeam Availability Console. 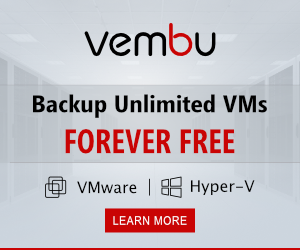 For the full change log, please see this topic on the private Veeam Cloud & Service Provider (VCSP) forum.